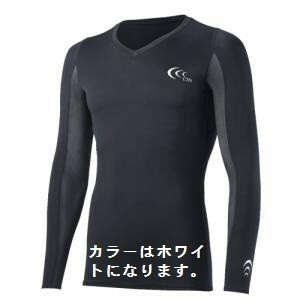 Long sleeve with its own pressure-saving design. The pressure clamping design suppresses excess muscle vibration， thereby suppressing the wasteful energy dissipation and improving exercise efficiency. It is a 3D stereo design tailored to the Japanese figure and fits perfectly in the body. In addition， it is possible to adopt a mesh material that does not hinder movement and to move smoothly in part. Since it has a UV cutting effect， it also serves as a measure against sunburn. It is recommended especially for sports which uses upper body such as golf， tennis and baseball. * The image of the product you are posting is displaying the representative image. Moreover， the color may look different from the real one. Please be forewarned.